In this paper, we propose a novel method for evaluating mental workload (MWL) using variances in facial temperature. Moreover, our method aims to evaluate autonomic nerve activity using single facial thermal imaging. The autonomic nervous system is active under MWL. In previous studies, temperature differences between the nasal and forehead portions of the face were used in MWL evaluation and estimation. Hence, nasal skin temperature (NST) is said to be a reliable indicator of autonomic nerve activity. In addition, autonomic nerve activity has little effect on forehead temperature; thus, temperature differences between the nasal and forehead portions of the face have also been demonstrated to be a good indicator of autonomic nerve activity (along with other physiological indicators such as EEG and heart rate). However, these approaches have not considered temperature changes in other parts of the face. Thus, we propose novel method using variances in temperature for the entire face. Our proposed method enables capture of other parts of the face for temperature monitoring, thereby increasing evaluation and estimation accuracy at higher sensitivity levels than conventional methods. Finally, we also examined whether further high-precision evaluation and estimation was feasible. Our results proved that our proposed method is a highly accurate evaluation method compared with results obtained in previous studies using NST. 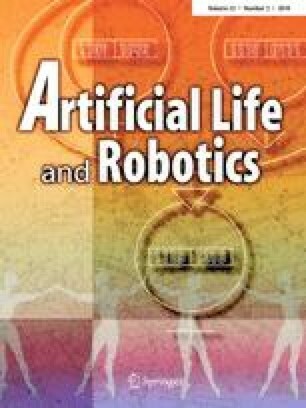 This work was presented in part at the 22nd International Symposium on Artificial Life and Robotics, Beppu, Oita, January 19–21, 2017.